Satish grew concerned about how to manage his personal finance investments and asked his uncle, who is in Chennai and a very successful investor too, “Who is the best financial advisor in Chennai?”. His uncle knows a few financial advisors each specializing in a particular type of financial consultation, and asked him about the type of consultation he required. Then his uncle went to tell him that his first task lay in identifying his financial objective, whether he needed financial advice for goals like long-term financial portfolio, or tax planning , or providing for the higher education and marriage of his children. Uncle went on to tell him there were more than 50 type of financial advisors specializing in aspects like stocks, insurance, mutual funds, postal savings, financial planning, taxation and real estate and told him the five steps to select the best financial consultant / investment planner. He also gave him some statistics that he knew about the financial advisors in Chennai. Once your financial objective and goals are set, your choice of a financial advisor would depend on whether you want one for your savings plans, tax advice and preparation, stock and equity portfolio, investment strategies, personal budgeting and debt management, retirement planning, estate planning, or insurance advice. There are more than 2000 financial advisor / investment advisors in Chennai. A search on the internet and referrals from friends, colleagues and relatives could help you find some appropriate financial advisors / investment planners to look into your concern. Make sure that when the financial advisor / investment planner suggests suitable financial plans, he also assures you to look into its maintenance, updating and implementation with periodic reviews of reports and correspondence. As all other dealings financial dealings too require the qualifications, certification and experience. So it is best to know and verify the financial advisor’s educational qualifications, certifications and experience. It pays to verify required certifications, like being licensed by IRDA to do insurance business and by AMFI to deal in mutual funds in India. The extra qualifications like CFP add more value. There are less than 100 Certified Financial Planners in Chennai. 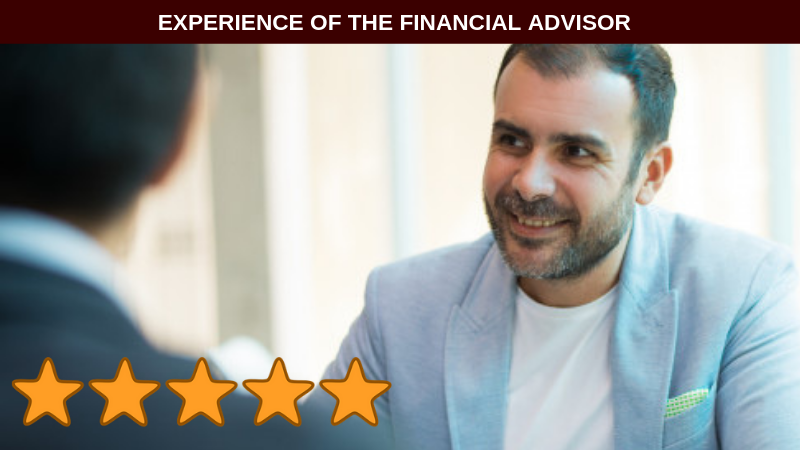 In addition, the financial advisor’s experience in the nature of business, and with sizable experience dealing with recession times plays a vital role in the choice of a financial advisor / investment planner. The investment advisor’s past professional positions and his reasons for change will be able to tell how efficient he is, with a positive switch of revealing his good expertise. I would say it is in your interest to not rely just on the positive talk of a financial advisor / investment planner, and beware of his trying to belittle your ideas. Asking for a reference helps verifying his authenticity, honesty, integrity, and empathy and whether he specializes in the similar nature of business you expect of him. I would say if you are young, you would not benefit from a financial advisor / investment planner dealing mainly in retirement and senior citizen plans. Interviewing a number of clients would give you the best idea if the financial advisor / investment planner can be relied upon confidently to meet your financial goals and objectives. In addition to this you may verify the testimonials given to the investment advisor by his clients. Check if the financial advisor or financial consultant has received any notable awards for his performance as a financial advisor. One more way to verify the achievement of the financial advisor is to check if the media is recognizing him as an expert financial advisor. Generally the experts of the respective field will be recognized by the media by asking them to write for their print media or give interview for the TV media. I would rather rely on written words like past documents than what the financial advisor professes, and would say that a financial advisor / investment planner’s past performance indicated well his present and future actions. I would also make sure that any disciplinary action for professional and ethic violation has been taken. I would also avoid financial advisor / investment planners claiming very high performance, as they would highly risk my money. Now comes, the final stage of discussing and knowing your financial advisor / investment planner’s compensation. Financial advisor / investment planners have varied compensation methods for their services, charges could be hourly, a flat monthly fee, a percentage on the assets managed, and a commission on the financial products managed or could be based on the number of transactions. Others could be a combination of 2 or more methods. A word of caution in dealing with financial advisor / investment planners charging on number of trades, or getting commission from the investment company, these fees or commissions can be profit motivated with no empathy to client needs. You could always suggest changes in the fee structure, if not accepted you could always find a reasonable financial advisor / investment planner to sign a compensation agreement with him. My best wishes for good financial dealings with financial advisor / investment planners, but a word of caution, are ‘be selective, diligent and patient to understand well the philosophy of your investment and never be shy to ask questions and clarify doubts’.